Rabbi Marjorie Berman was connected to the St. Croix Jewish community since she was a rabbinical student. For the last four years she complemented Rabbi Marna Sapsowitz’s full-time presence (December through April) by leading B’nai Or’s High Holiday services. A native of Madison, Wisconsin, Rabbi Berman attended Earlham College, a Quaker college in Richmond, Indiana, where she studied Comparative Religion. 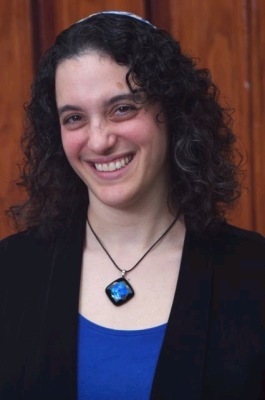 She graduated from the Reconstructionist Rabbinical College in 2003, and has a background in Hillel and congregational work, chaplaincy, spiritual direction, and couples’ counseling. Currently, Rabbi Berman is a Spiritual Director at the Reconstructionist Seminary and teaches at Society Hill Synagogue in Philadelphia. She is married to Rabbi Daniel Swartz of Temple Hesed in Scranton, and has an eighteen year-old step-daughter named Alana. Rabbi Berman brings a wide variety of interests to her work as a rabbi. Her passions include counseling, interfaith work, and bringing life to Jewish texts, history, and ritual. She is also deeply committed to finding ways for Jews and others to foster a relationship between nature and spirituality. She enjoys incorporating artistic and meditative elements into her teaching and worship-leading. Most of all, she appreciates the opportunity to help people find meaning in their lives through spirituality, culture, ethics, social action, and community.